I knew that the Lusitania was torpedoed during World War I, and that some Americans died, but I knew none of the details of the tragedy. 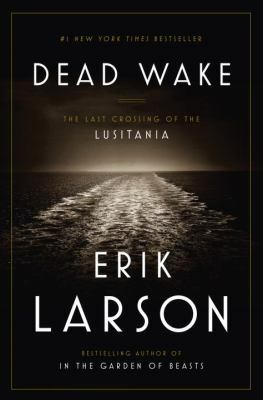 The inevitability of the torpedo heading for the side of the Lusitania drives the reader anxiously through Erik Larson’s book, in which events that took place in 1915 feel like they just happened. The passengers come to life through letters, diaries, and artifacts. I learned what they wore, who they dined with, why they were traveling, and could almost see the children jumping rope on the deck. Most remarkably, Walther Schwieger, the commander of submarine U-22, is a memorable character, with his daunting task of patrolling British waters, avoiding mines and destroyers, trying to see without being seen. Will there be enough power in the batteries to surface when it’s safe, or enough diesel fuel to return safely to Germany? Will the torpedoes even fire? Larson did a tremendous amount of research on the Lusitania, but allows none of it to slow the intensifying pace of the story. Three years after the Titanic struck an iceberg, the world knows that passenger liners are not indestructible. Warnings that Germany would not hesitate to attack British passenger ships appeared in New York newspapers on May 1, 1915, but the Lusitania still left New York that day, although delayed to accept passengers from another ship commandeered by the British navy. Some of the passengers were surprised that the “Lucy” wasn’t traveling as fast as it could; the war dictated saving coal by running only 3 out of 4 boilers. Captain Turner did receive some telegrams during the voyage, but they had conflicting advice on what to expect when he reached the war zone of Irish and British waters. What did the British Admiralty, headed by Winston Churchill, know about the movements of the U-22, and how was the war going without the help of the still-neutral United States, led by President Woodrow Wilson, then courting Edith Galt? And what happened when the fog cleared as the Lusitania neared Ireland, and why was a fast British cruiser called back to port? Readers will turn the pages faster and faster to find out, and also to learn who lived and died, and what happened later because the Lusitania sank. Many readers of the bestselling novel The Unlikely Pilgrimage of Harold Fry have wanted to read more about Harold, Maureen, and Queenie. Finally, we have a companion novel told from Queenie’s point of view. Twenty years after she left the brewery, Queenie is living by the sea in a small bungalow with a unique sea garden, decorated with rocks, driftwood, flowers, and even seaweed. Illness forces her to move to St. Bernardine’s Hospice. Queenie is clearly very ill, as are the other residents, but they gradually bond and become a family, especially while they are waiting for Harold Fry to arrive. 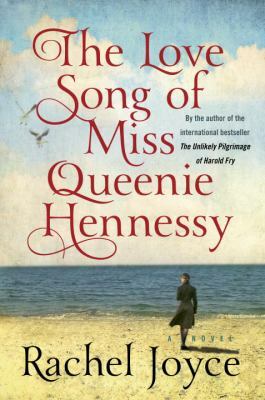 We learn about Queenie’s past, how she liked to dance, her sorrows and her big secrets. Queenie’s affection for Harold is not a big surprise, but her friendship with Harold’s son David is unexpected, as is the guilt she feels about keeping the friendship from Harold. The focus of this story is daily life at the hospice, which is surprisingly uplifting reading. Queenie’s story is definitely bittersweet, and may move the reader to tears. I suggest this for readers who would enjoy a character-driven novel that is reflective, at times emotionally intense, and always memorable. Other reviewers have said that this novel can be read on its own, but I would read The Unlikely Pilgrimage of Harold Fry first. You may have noticed that I read quite a few books. I thought you might like a look at the stack of books I’m currently reading. 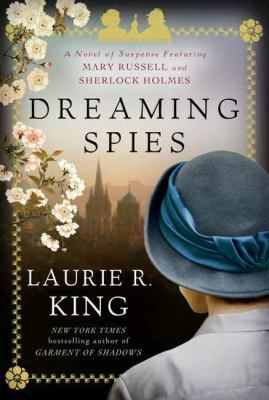 At home, for pleasure, I’m reading Laurie King’s new mystery Dreaming Spies, set in 1920s Japan and Oxford, featuring Mary Russell and Sherlock Holmes. I am also reading a cookbook from 2007, Mediterranean Harvest, by Martha Rose Shulman. I’m reading All The Light We Cannot See, by Anthony Doerr, on many lists of notable books published in 2014, because I’m considering it for a future book discussion. The book is narrated by a blind French girl and an orphaned German youth who can repair radios and is caught up in World War II. Because I’m trying to finish this book, I’m neglecting two books I’ve already started: Firefight, by Brandon Sanderson, a young adult fantasy novel and The Wright Brothers, by David McCullough, which is being published this May (I have an digital review copy). Next up at home (or for breaks at work) are Dead Wake, Erik Larson’s new book about the Lusitania and The Love Song of Miss Queenie Hennessy, by Rachel Joyce, a companion novel to The Unlikely Pilgrimage of Harold Fry. In the car, I’m listening to a recording of The Corsican Caper, by Peter Mayle, a fun novel set in and around Marseilles, France, with descriptions of many great meals and a subplot about a Russian billionaire who wants to buy a house that’s not for sale. At work, I’m re-reading At Home, by Bill Bryson and Lisette’s List, by Susan Vreeland, both for book discussions later this month. Books I’m looking forward to reading but don’t have yet include Double Fudge Brownie Murder, by Joanne Fluke and Better than Before, by Gretchen Rubin, the author of The Happiness Project. I recently finished reading Dead Heat, by Patricia Briggs, featuring werewolves Anna and Charles Smith. The last audiobook I listened to was a medieval mystery by Ellis Peters. Any suggestions for what to read next? 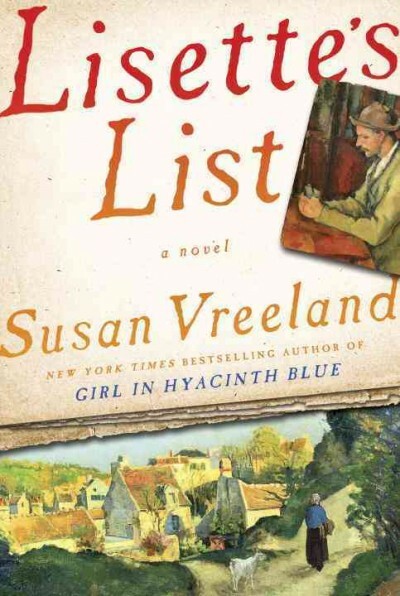 On March 17 at 10:00 a.m., the Tuesday Morning Book Group will be discussing Lisette’s List, by Susan Vreeland, the author of Clara and Mr. Tiffany and The Luncheon of the Boating Party, former book discussion selections. Set in Paris and Provence in the late 1930s to the late 1940s, Parisian Lisette has a rough transition to life in Provence with her husband Andre and his grandfather Pascal. Andre is a frame maker, and Pascal has a collection of seven paintings by French artists. Ochre mined near Roussillon was used for pigments in the paintings. When the war begins, the paintings are hidden, and Lisette must adapt to life in Provence. 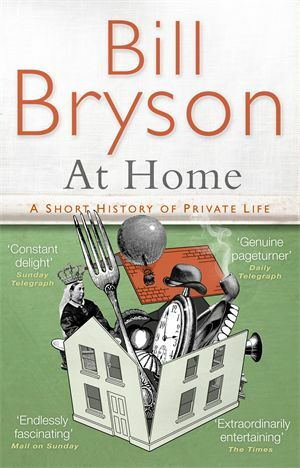 On March 24 at 7:00 p.m., the Tuesday Evening Book Group will be discussing At Home: A Short History of Private Life by Bill Bryson, one of the ReDiscover: Celebrating Home selections. The author lives in a large Victorian house in England, and uses the rooms of his own home as a jumping point to explore the general history of domesticity. Bryson is an entertaining writer who frequently digresses from the history of the house to explore related trivia, such as the meaning of room and board, how sugar consumption has changed, the invention of the mousetrap, the history of paint, and quite a lot about food and disease. The Crime Readers are meeting at Home Run Inn Pizza at 7:00 p.m. on Thursday, March 19 to discuss The Broken Shore by Peter Tample, set in rural southeastern Australia. Optional dinner at 6:00 p.m. The Crime Readers are co-sponsored by the Indian Prairie Public Library. Copies of all three titles are available at the Adult/Young Adult Reference Desk. Sign up online, by phone, or in person. First Frost is a pleasant, mostly gentle read that may make you hungry. I didn’t realize at first that it’s a sequel to the author’s first book, Garden Spells, set ten years later in Bascom, North Carolina. Claire is living in the house she inherited from her Waverley grandmother, but now makes candy with edible flowers instead of catering. Her niece Bay enjoys helping out, but Claire is increasingly tense. The Waverley women all have minor magical talents. Elderly cousin Evanelle gives people unusual gifts they may need later, such as a spatula. Claire’s affinity is for flowers and cooking, while her sister Sydney is a wonderful hair stylist. But Claire’s young daughter seems quite ordinary. Bay knows where some people and things belong, making her a great organizer, but when she gives Josh a note telling him that he belongs in her life, he doesn’t know how to respond. 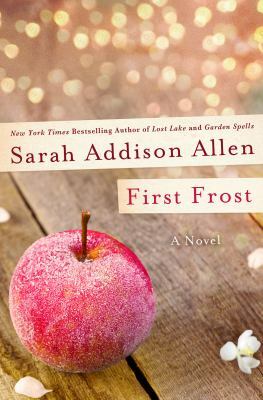 When a stranger in town tries to convince Claire that she’s not really a Waverley, it takes the magic of first frost, when their apple tree blooms, to set things to rights. It’s nice to visit with the Waverleys again, and Bay is an appealing narrator, but I wanted more back story to remind me what happened in the first book. Actually, I’d really like a book set earlier than First Frost. Complaints aside, this was a very enjoyable book to read, and I will probably re-read Garden Spells.